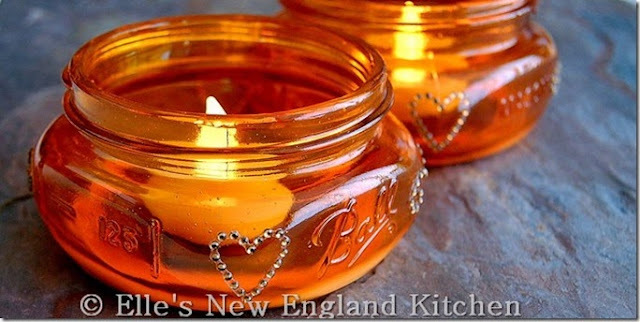 We have all seen painted mason jars before but these reddish orange beauties had me at hello. Plus the squat mason jars are just perfect to use as tea light holders. Learn how to make these DIY jewel tone mason jars over on Elle's New England Kitchen now. The jewel touches on the side are just icing on the cake don't you think? Head on over to the original source to pin this great project.